The products we offer at ALCOLOCK are the best you’ll find in the industry. How do we know? Because we control the entire process and develop our own products. That way, we can control the quality from inception to production. We’ve never been satisfied with offering a single device or reselling an existing line of products. Instead, we’re wholly committed to immersing ourselves in the industry. We’re proud to have established a reputation for being experts in our field. We’ve stayed at the top of the industry by developing a wide range of high-quality products that span the entire gamut, from lab equipment to devices that aid program facilitators to the breathalyzers and products the consumer uses throughout their program. 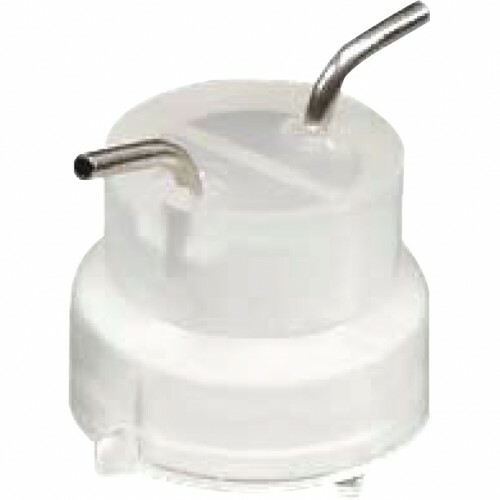 Mini Cell Sensor is one of the quality products we offer to help make the road to license reinstatement and independence as easy as possible. The Mini Cell Sensor is a fuel cell sensor that works within our devices to detect alcohol . You can use the Mini Cell Sensor to help accurately calibrate your ignition interlock device or breathalyzer. When using and installing the Mini Cell Sensor it’s important to follow all directions to make sure that you’re using it properly and to retain accuracy and product longevity. This product is designed for use in our products to help provide rapid results, to ensure accuracy, and to be used multiple times without sacrificing the quality of your results. Our Mini Cell Sensor is one of two sensors developed by Alcohol Countermeasure Systems Corp that we use at ALCOLOCK to help enhance our products and ensure their quality, accuracy, and longevity. While both the Micro Cell Sensor and Mini Cell Sensor are quality products, they have slightly different specifications. Here are the particular specifications for the Mini Cell Sensor. Using the ALCOLOCK Mini Cell Sensor is easy and can help make your program experience, or your experience as a program facilitator, much more efficient. ALCOLOCK’s Mini Cell Sensor is just one of the multitude of accessories and products we offer. Whether you’re a driver looking for ways to more efficiently achieve license reinstatement or a facilitator looking for ways to expand upon your existing line of product offerings to better serve your customers’ needs, we have a wide range of options that can help you achieve your goals. Stop by our shop for a selection of top quality products and services created to help you achieve success.